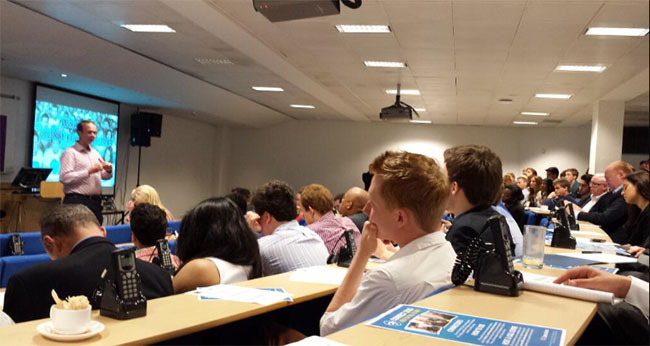 TheBlueGuerilla: London Conservative Future Conference a Massive Success. London Conservative Future Conference a Massive Success. OVER 175 guests turned up from all over the UK for London Conservative Future's (CF) free conference this past weekend which has been regarded as a huge success for the organisation, TBG can reveal. 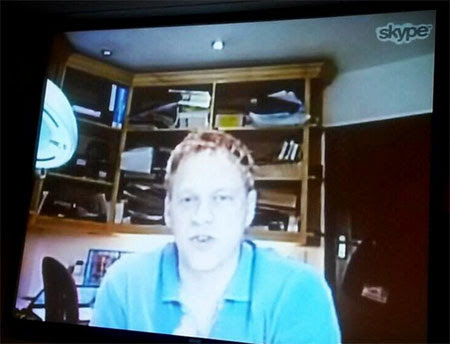 Talks from Gavin Barwell MP, Justine Greening MP, TBG favourite & mighty political expert Peter Botting invigorated Tory thought during the conference, which included a Skype call from Conservative Party Chairman Grant Shapps. The event hashtag #LndCF was trending all day in London on Twitter. The conference concluded with a high-end champagne reception and watching England lose 2-1 to Italy in their World Cup opener. 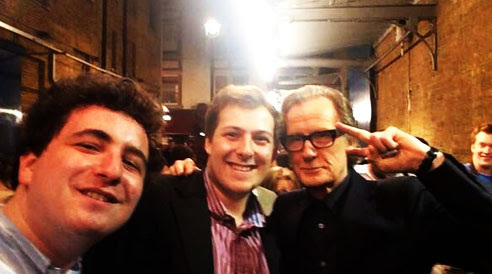 Some CF'ers even bumped into top celebrities including Bill Nighy (left), who posed for selfies with young Conservatives. One CF'er said it was the "Best day ever" after being snapped with the actor.